here for your curiousity at the Weekly Buzz! 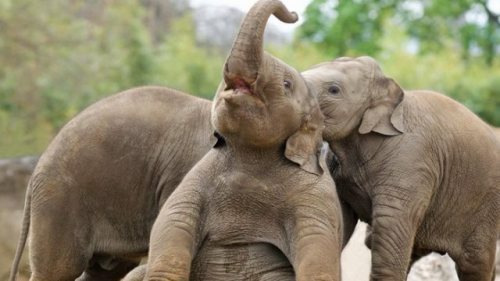 Oh, to be in Dublin for the elephant birthday party of the century, held last month at the Dublin Zoo. 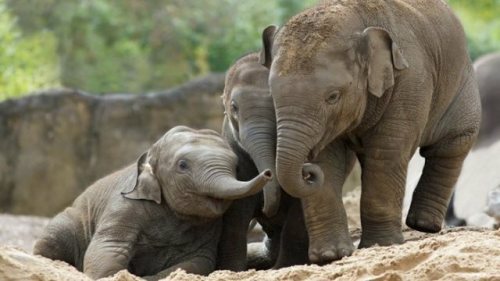 Three baby elephants, the youngest of which was born in July, were all celebrated with a birthday bash, but it's hard to see how they could have more fun than they do every other day! These photos make Kavi, Ashoka, and Samiya (the female) spend lots of time together, and they even sleep piled on top of each other! (UTV.ie) See if you can catch these 'cuties' on the Dublin Zoo webcam. In attempting to find out why alligators bellow, researchers infused the cages of the study animals with helium to enhance the volume and pitch of the alligator calls. Their findings concluded that bellows serve to communicate the size of the alligator, which assists males and females in finding the right mate! (JEB via PopSci) The research involved Chinese alligators; listen to an un-enhanced bellow below! 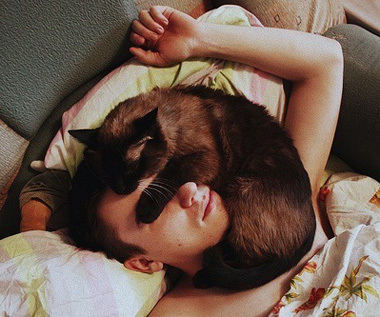 Why is my cat sleeping on my head? 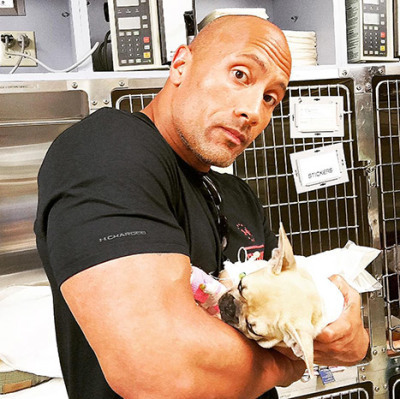 Just a month after rescuing his puppy French bulldog, Brutus, from drowning in his swimming pool, the puppy ate a bad mushroom in Dwayne Johnson's yard. Johnson went on Instagram warning pet owners: "I encourage all of you out there to be mindful of mushrooms in your yards, parks or anywhere outside your dogs play. What looks innocent, can be deadly to your lil' family members." Sorry, little Brutus; may you rest in peace. Dwayne 'The Rock' Johnson and his puppy Brutus. 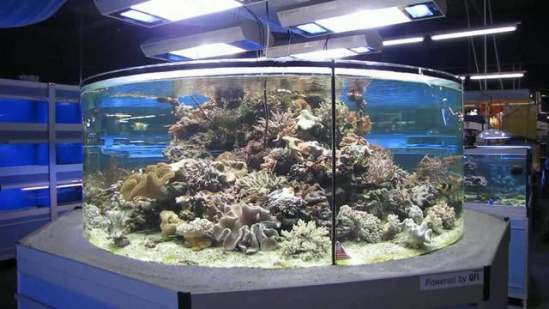 Where Is The World's Biggest Pet Store? In Duisburg, Germany, a city along the Dutch border is a 130,000 square foot pet warehouse called Zoo Zajac, which houses not only pet supplies but 250,000 individual animals of 3,000 species! Norbert Zajac, founder, is 61 years old and rides around his store on a moped, has been breeding and selling pets since he was 8 years old. The entrepreneur's story is an interesting read in The Week. 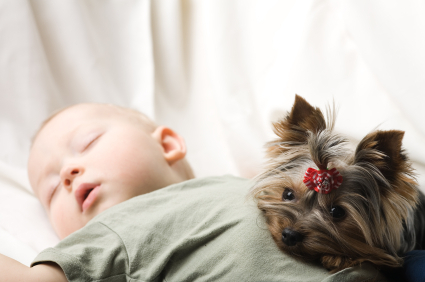 Pets Are Healthy For Infants! Most people believe that pet dander is unhealthy for newborns and infants. But Dr. Nina Radcliff, who writes for The Washington Times, says that pet dander actually helps newborns develop resistance to allergies, asthma, and eczema. Another benefit for young children is that owning a pet helps them develop empathy for others.